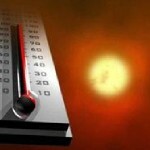 Exposure to even short periods of high temperatures can cause serious health problems and potential death. According to the Centers for Disease Control and Prevention (CDC) more people in the United States died from extreme heat than from hurricanes, lightning, tornadoes, floods, and earthquakes combined. So how do you know when temperatures will increase to dangerous levels and what precautions to take? When high temperatures and humidity levels are expected to reach 105 degrees or more the National Weather Service issues a Heat Advisory through iAlert.com, instantly, and direct to you by email and/or by SMS text message. During hot weather you will need to increase your fluid intake, regardless of your activity level. Don’t wait until you’re thirsty to drink. During heavy exercise in a hot environment, drink two to four glasses (16-32 ounces) of cool fluids each hour. No alcohol, and stay away from large amounts of sugar. Wear as little clothing as possible when you are at home. Choose lightweight, light-colored, loose-fitting clothing. Sunburn affects your body’s ability to cool itself and causes a loss of body fluids. If you must go outdoors, protect yourself from the sun by wearing a wide-brimmed hat along with sunglasses, and by putting on sunscreen of SPF 15 or higher 30 minutes prior to going out. Stay indoors and, if at all possible, stay in an air-conditioned place. If your home does not have air conditioning, go to the shopping mall or public library—even a few hours spent in air conditioning can help your body stay cooler when you go back into the heat. Electric fans may provide comfort, but when the temperature is in the high 90s, fans will not prevent heat-related illness. Taking a cool shower or bath or moving to an air-conditioned place is a much better way to cool off. Use your stove and oven less to maintain a cooler temperature in your home. 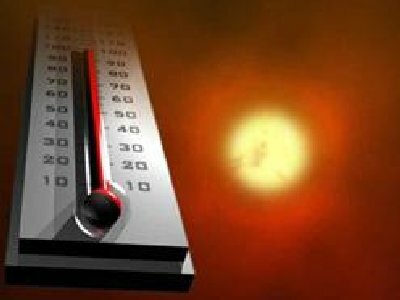 Looking for a heat index calculator? This entry was posted in Weather Articles and tagged Advisory, cool, dangerous levels, extreme heat, head advisory, hot weather, iAlert, protection, serious health. Bookmark the permalink.